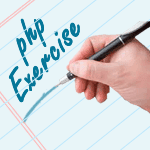 Write a PHP program to sort a list of elements using Bogo sort. In computer science, bogosort is a particularly ineffective sorting algorithm based on the generate and test paradigm. The algorithm successively generates permutations of its input until it finds one that is sorted. It is not useful for sorting but may be used for educational purposes, to contrast it with other more realistic algorithms. Previous: Write a PHP program to sort a list of elements using Bead sort. 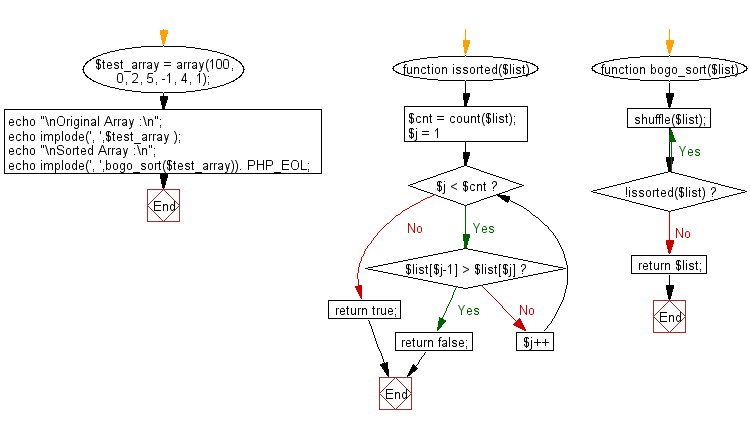 Next: Write a PHP program to sort a list of elements using Strand sort.